Deadlifts are arguably the best lower back exercise, mainly because you can lift the most weight while doing deadlifts. If you can do 40kg bent over rows, you can likely do 100kg deadlifts. The drawback is that it has reasonably complex technique required to make the lift safe. The technique is best described in the book Starting Strength, but I can give you a quick summary. Feet 1.5 inches from the bar, 12 inches apart with knees and feet pointing out, with straight legs grip outside your legs on the bar, move your shins forward to the bar, lift your chest up and tense the lower back, push through the ground with your legs while keeping your arms straight until lockout, reverse the movement to the ground. The following illustration shows the technique as shown in Starting Strength. 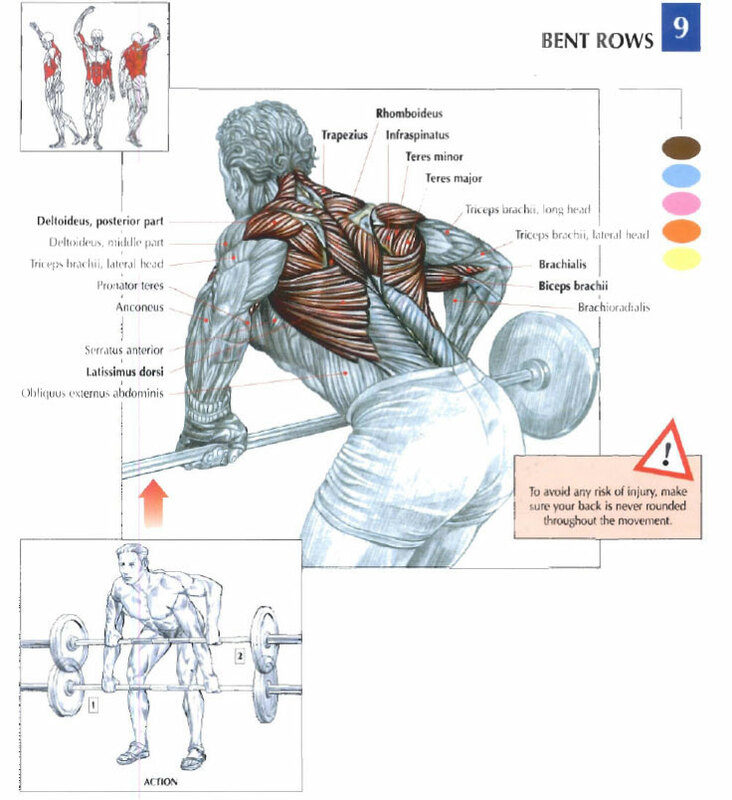 In bent over rows, the lower back is not the primary muscle, but it is worked very well as an assistance muscle. Your upper back are the primary muscles used for this exercise. The main thing to remember for safety reasons is to lift the chest and tense the back (lifting the chest actually helps to tense the back). By doing bent over rows with good technique, your lower back endurance will improve drastically. Bend over with chest up and back tensed, then raise and lower the barbell vertically to your stomach or chest depending on how far bent over you are. The following illustration comes from a great strength training illustrative guidebook, Strength Training Anatomy. This exercise works the lower back, glutes and hamstrings. You’ll likely feel a burn after 12 reps of back extensions. If you are able to do it with a straight back with no weight, then hold a plate to your chest starting with 5kg and working up. 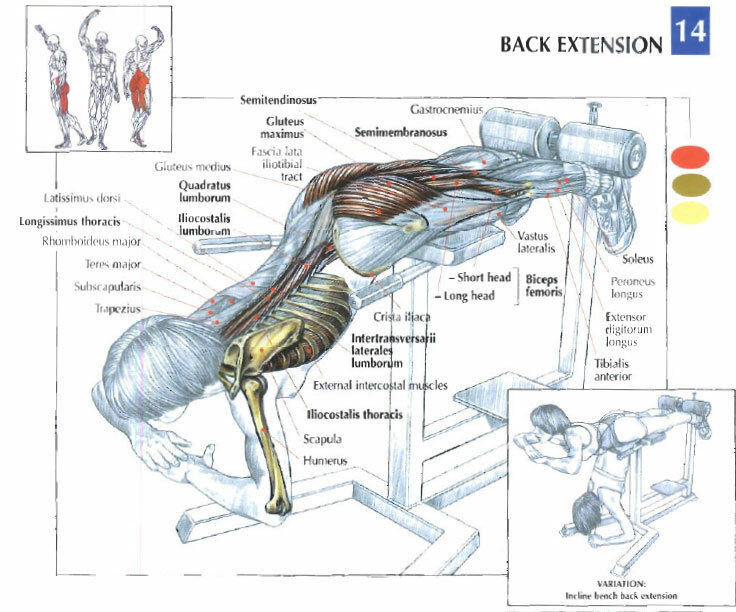 This exercise works best with the back extension bench, luckily most gyms have one. Below is an illustration from Strength Training Anatomy. 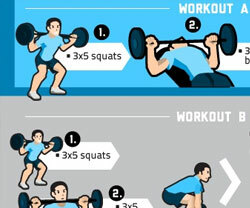 You don’t have to do all 3 of these exercises to work your lower back, 1 is enough. But since each of the exercises works multiple muscles, you may end up using them to target the other primary muscles used by the exercises. If I had to pick one, it would be back extensions for beginners, deadlifts for novices and above, and bent over rows for upper back or lower back endurance. No Responses to "Best Lower Back Exercises"